Any child who turns 5 on or before August 1 can enroll in full-day kindergarten beginning in the 2017-18 school year. Children must enroll in kindergarten by the time they are 6, since under Kentucky state law, all children must be enrolled in school between the ages of 6 and 18. Children who have mastered kindergarten benchmarks before age 5, and who turn 5 years old between August 2 and October 31, may be eligible for early admission to kindergarten. The deadline to submit the Early Entrance to Kindergarten application is April 1, 2018. After the April 1, 2018, deadline, there will not be any opportunities to petition the district for Early Entrance to P1 for the 2017-18 school year. The application window for the 2017-18 school year has closed. To enter kindergarten, children must have a physical exam, a dental exam, and an eye exam. They must also have completed their immunizations. Learn more about JCPS health requirements. Explore kindergarten readiness and what you can do to get your child ready for kindergarten. 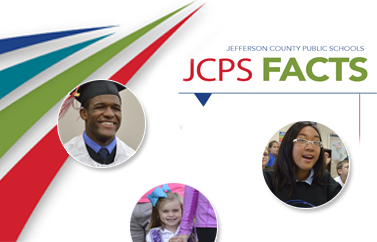 Learn about JCPS options for Early Childhood education (Head Start, Early Head Start, and preschool).